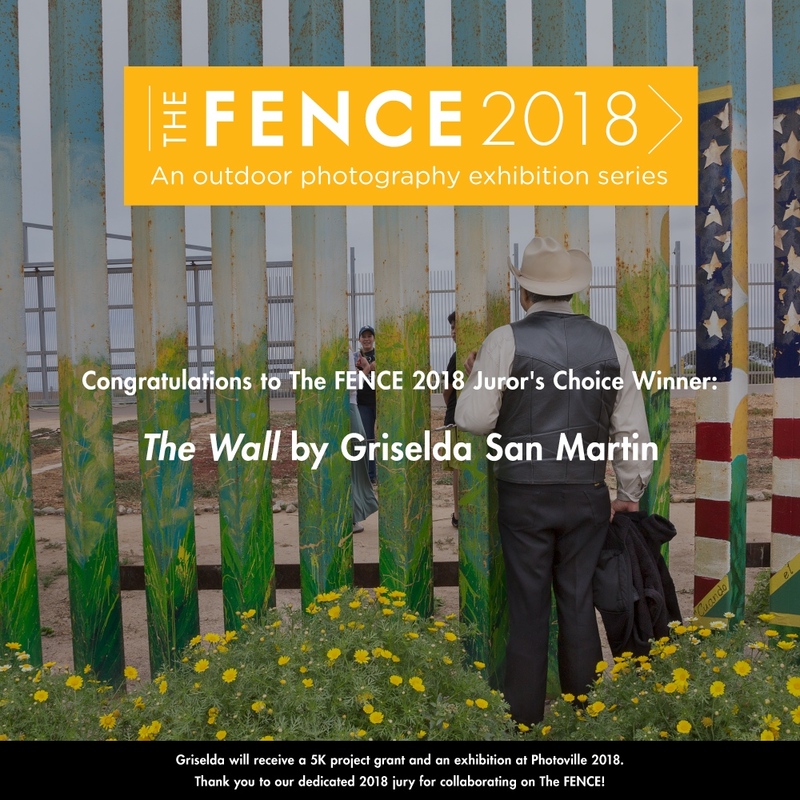 I am thrilled beyond words that my project “The Wall” has been selected as The Fence 2018 Juror’s Choice winner. I am so grateful to the Jury. This is such a huge honor. I strongly believe that this time that we live in is demanding us to act, to speak up and to take a stance. The project's goal is to transform the discourse on border security into a conversation about immigrant visibility, challenging popular assumptions and dominant discourses. THE FENCE was conceived by United Photo Industries and Photo District News in 2011. It is a large-scale traveling photography exhibition reaching over 6 million visitors annually through open-air exhibitions in 8 cities across North America: Brooklyn, Boston, Atlanta, Santa Fe, Durham, Denver, Calgary (Canada), and Sarasota. Announcing The FENCE Juror's Choice Winner – Celebrate with us tonight!